Comfortable cottage with heated pool and fishing ponds labeled 3 ears. Fully detached cottage close to the owners. Living room with fireplace, kitchen, 4 bedrooms, 2 to 3 people, 1 for 2 people and 1 for 1 person, a bathroom with toilet, a bathroom, separate toilet. Terrace, barbecue. 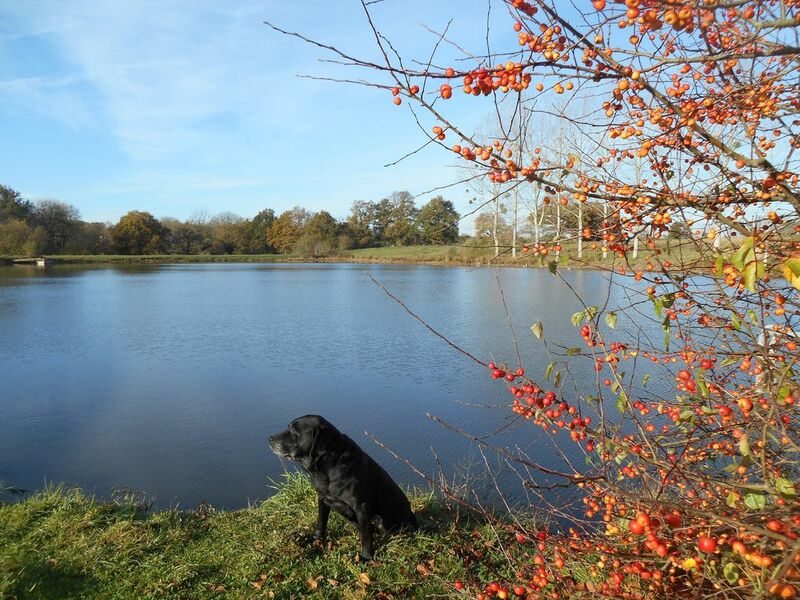 Each part of the house has stunning views over the fishing lakes and rolling countryside. There are two bathrooms: - A bathroom accessible to people with reduced mobility adjoining great room for 3 people, with all the elements adapted to handicaps: Italian shower and seat, toilet, sink and shelf space rotation. - A bathroom with sink and bathtub. fishermen are happy to enjoy the exclusive large fishing ponds. The beautiful dimensions of the cottage make it very comfortable, both indoors and on the terrace or around the pool. The landscaped pool with its awning and remarkable exhibition is an ideal place for rest and relaxation. Gîtes très complet ou nous passons 1 semaine en Mai et une en Septembre depuis plusieurs années uniquement pour la pêche(beaucoup de poissons) ,et cela fera 20 fois qui nous y allons.Propriétaires très sympathiques et accueillants.Nous avons aussi profité de la piscine . Gîte très grand avec cheminée et bois fourni ainsi que le linge de toilette. * Hiking: In the heart of the Limousin Vienne, the wooded and hilly countryside is furrowed by many hiking trails. * The heated pool: The inground pool (10 x 5) with its solarium, landscaped decor and shaded shelter is an ideal space for relaxation and rest. * little extras: terrace, garden and a petanque, Internet access - WIFI, free access to the communal tennis court. * The basic skiing of the Isle-Jourdain offers the opportunity to experience during the summer season this sport safely with a qualified instructor, from the age of 5 years. Discovery baptism, water skiing for beginners, pedal boats. Nearby cities: Isle-Jourdain: bungee jumping; Le Vigeant: The racing circuit Val de Vienne; Lussac castles, Civaux, Montmorillon and Bellac Giraudoux Festival Confolens: Confolens festival, folk dance.